On December 8, 2017, Asst. 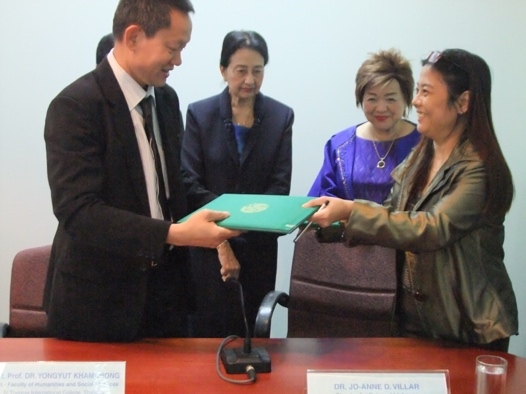 Prof. Dr. Yongyut Khamkhong, Dean of Humanities and Social Sciences, signed a Memorandum of Understanding (MOU) with Dr. Jo Anne Villar, Director for International Education, Don Mariano Marcos Memorial State University, Philippines. The MOU covers three major areas of research collaboration, as well as student exchange and teacher development between the two institutions. 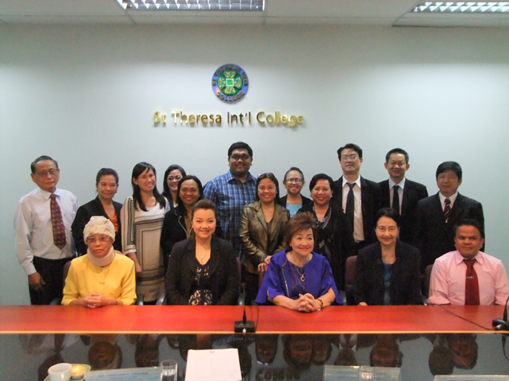 Witnesses to this auspicious event included St Theresa International College, Vice Chairman of the College Council, Dr. Theresa Virachanee Phromsunthorn, and College President, Dr. Piyada Wattanasan. 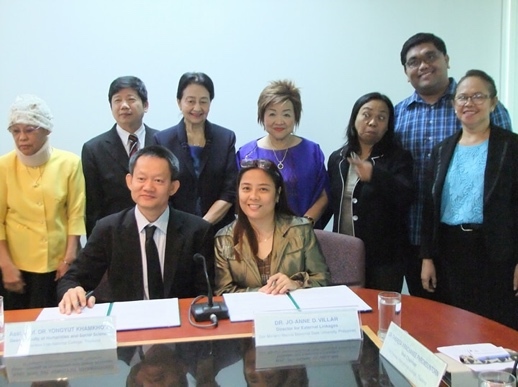 On the day, STIC also signed MOUs with three other universities from the Philippines which will further enhance academic excellence among all the higher educational institutes involved.